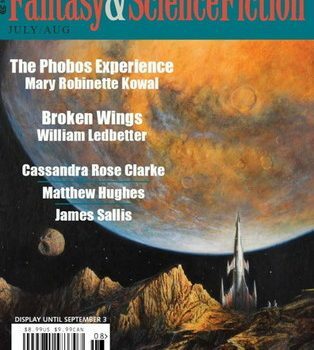 The July-August F&SF features an im­pressive novella from a new writer, L.X. Beckett, “Freezing Rain, a Chance of Falling“. Drow Whiting is a journalist and (for now) failed musician, and he’s in serious trouble, because a prominent singer just tried to commit suicide because of a bad review he wrote. That’s bad enough (says this reviewer! 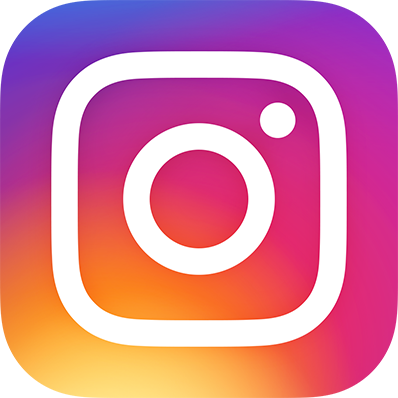 ), but in this future, social media approbation is fundamental to the economy (an idea explored in Cory Doctorow’s Down and Out in the Magic Kingdom, to name one place). The singer’s fans have driven Drow’s social credit into the dumps. His sympathetic editor suggests a story about dangerous chemo popups, offering faddish and potentially dangerous treatments. Drow adds a new twist – he’ll be the subject of the treatment, and his reaction will be recorded by a creepy older conceptual artist, Tala Weston. The story is very ambitious, taking on the social credit idea as well as questions about the nature and moral­ity of Tala’s art, and the dangers and potential benefits of various chemical enhancements, including longevity and enhanced creativity. I liked it a lot, though I’m not sure Beckett quite sticks the landing – but they’re a writer to watch, that’s for certain. I also enjoyed the opening and closing stories from this issue, each set on a moon of Mars. 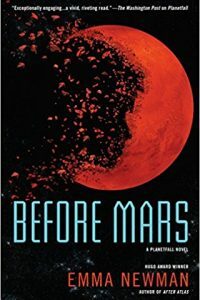 “The Phobos Experience” by Mary Robinette Kowal is about Darlene, a lieutenant working at a Martian colony who has a vertigo problem. She is called upon to investigate the discovery that Phobos is hollow, and gets into a serious scrape. William Ledbetter‘s “Broken Wings” features Marcie, who works at Deimos Control as, I guess, a Space Traffic Controller. Bernard, her favorite miner, comes in one day with his transponder off – and it turns out he’s found something very interesting. The problem is, other people find it interesting as well – and it’s up to Marcie and Bernard, each of whom has physical limitations, to foil the bad guys. Both stories are old-fashioned at heart (even if their protagonists probably wouldn’t have been featured in similar stories from, say, the ’50s), but they’re proof that there is life in the old tropes yet. 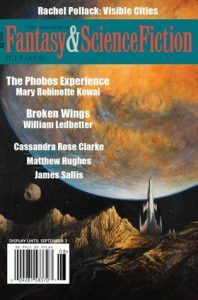 Last month I noted the tendency of non-genre writers to use SFnal tropes in the service of fairly traditional mainstream ideas, and this month I’m looking at a classic “little magazine,” Stonecoast Review, which features a couple of very fine stories by SF writers known for writing fairly traditional SF. And, really, both writers are, in these cases, using SFnal tropes in the service of fairly traditional mainstream ideas. (This has always been a thing, and not a bad thing either.) James Van Pelt‘s “Mambo No. M51” is about Emma Sophia, who, we soon learn, has been voted “sexiest pop artist of the year,” as well as (by the protagonist) potentially “nuttiest.” The story, told by a man helping with the tech for her newest video, concerns her fascination with the literal “music of the stars” (radio telescope recordings) and her desire to lose herself in a video presentation of space while listening to her interpretation of the stars’ music, and the protagonist’s increasing involve­ment with that obsession (obviously driven in part by his somewhat sublimated sexual at­traction to her). It’s pretty effective work, both as a character study and as a presentation of scientific wonder. Rick Wilber‘s “Today is Today” reflects on parallel universes as the narrator meditates on numerous alternate tracks his life might have taken, concerning his sports career, his relation­ship with his wife, and especially the life of his daughter, who in most of these tracks has Downs Syndrome. (The early reference to the Billikens of Loyola University of St. Louis clued this St. Louis resident in right away to the fact that the prime universe displayed here is not our own!) Again, the story is in the end about a father and his daughter – and quite movingly so – and the SFnal apparatus is an enabling element, but used quite effectively. 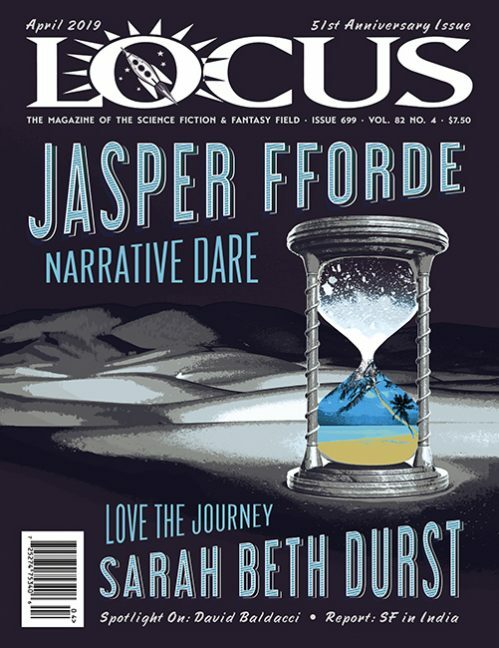 One more magazine new to me is Pulp Litera­ture, which, as the title suggests, seems to at­tempt to marry what are called pulp forms (mys­tery, SF, and fantasy in this case) with literary values – which is fine, but not all that uncommon these days. I found the stories decent work, but didn’t like any as much as the best in the previ­ous two magazines covered. Most interesting were Sylvia Stopforth‘s “Ordinary“, about a girl “gifted” by the Old One of her village to be ordinary, and her rebellion; and “Guardian” by Susan Pieters, SF set in the near future where everyone wears “guardians,” that prevent them from dangerous actions: the protagonist wants hers disabled. Rich Horton works for a major aerospace company in St. Louis MO. 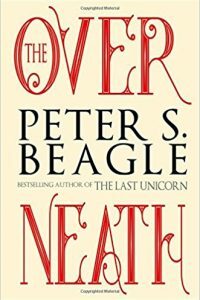 He has published over a dozen anthologies, including the yearly series The Year’s Best Science Fiction and Fantasy from Prime Books, and he is the Reprint Editor for Lightspeed Magazine. He contributes articles and reviews on SF and SF history to numerous publications.